Good Day! 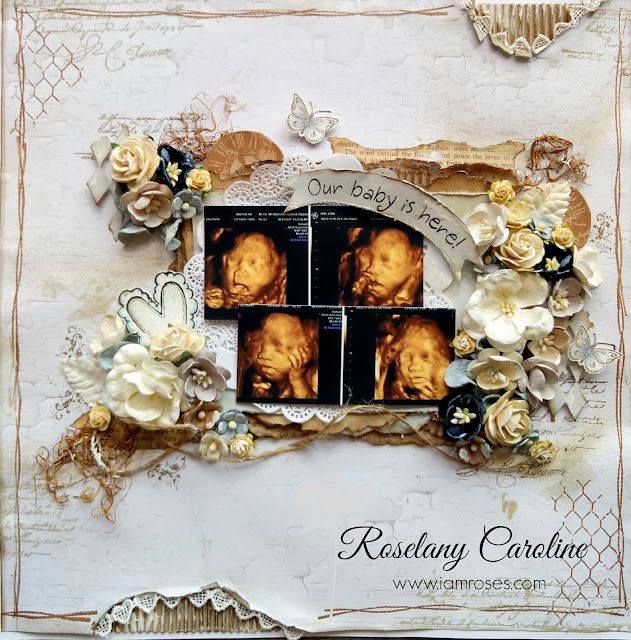 Designer Roselany Caroline shares this gorgeous project. 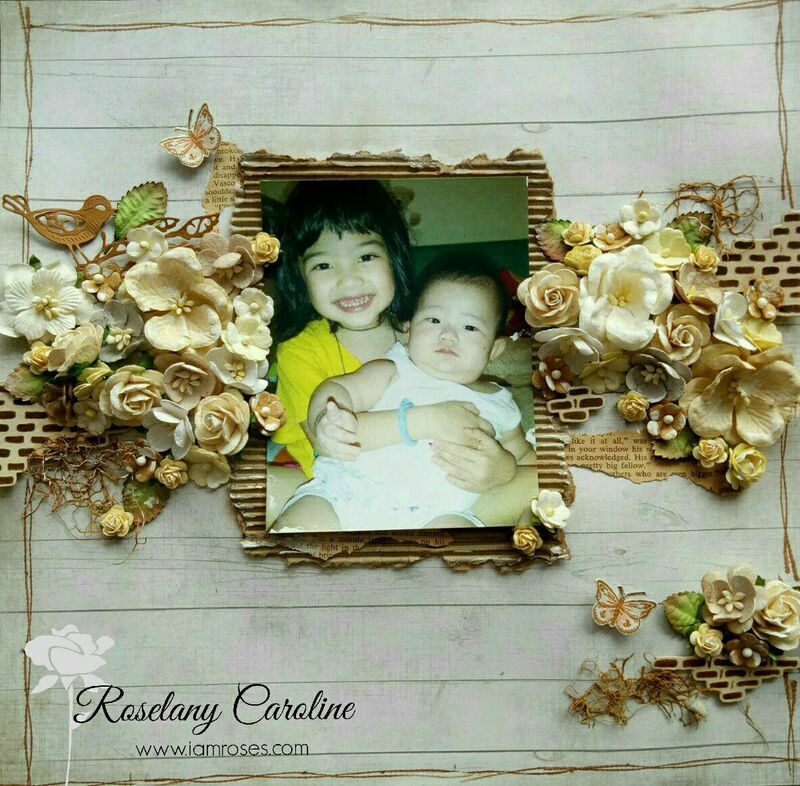 Such precious moments captured in this layout. Happy Saturday everyone! 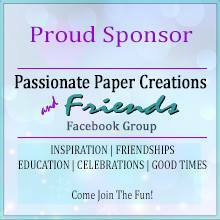 Today I'm showcasing the beautiful paper flowers from I Am Roses with Conie Fong's Noelle's Gift. 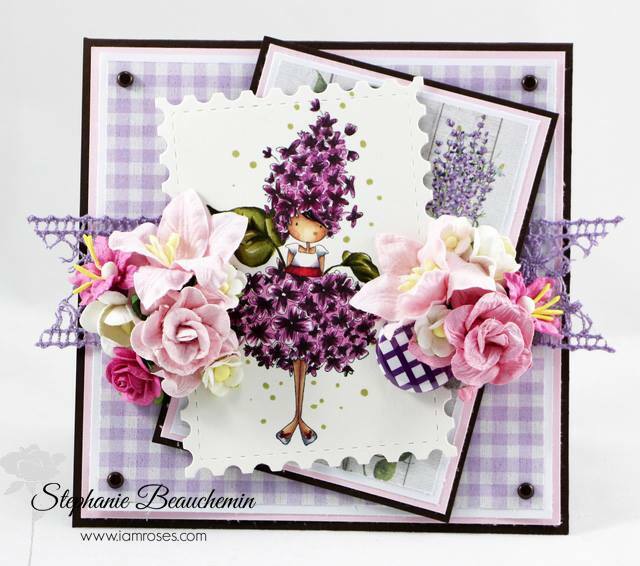 I love all of Conie's digital stamps and this one is beautiful! I printed her on Xpress It Blending Card and colored her with Copic Markers. 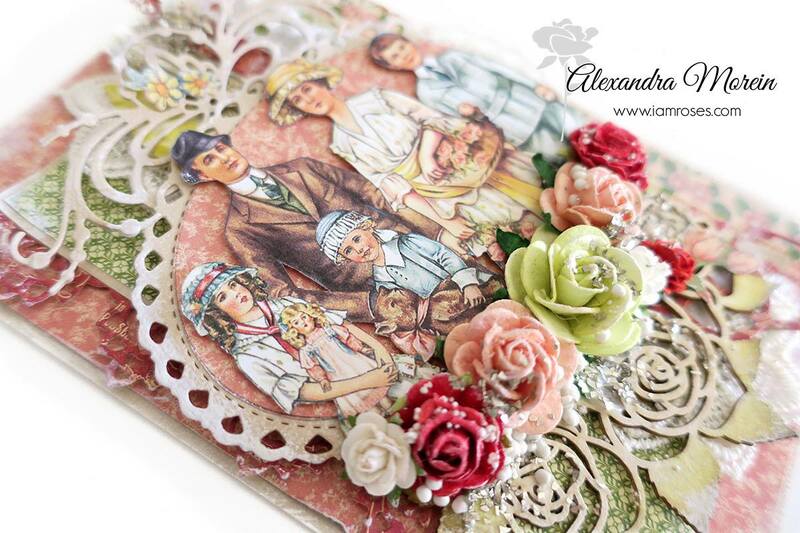 The gold sprinkles around the outer edge of the image is Stampendous Frantage Aged Taupe Embossing Enamel. 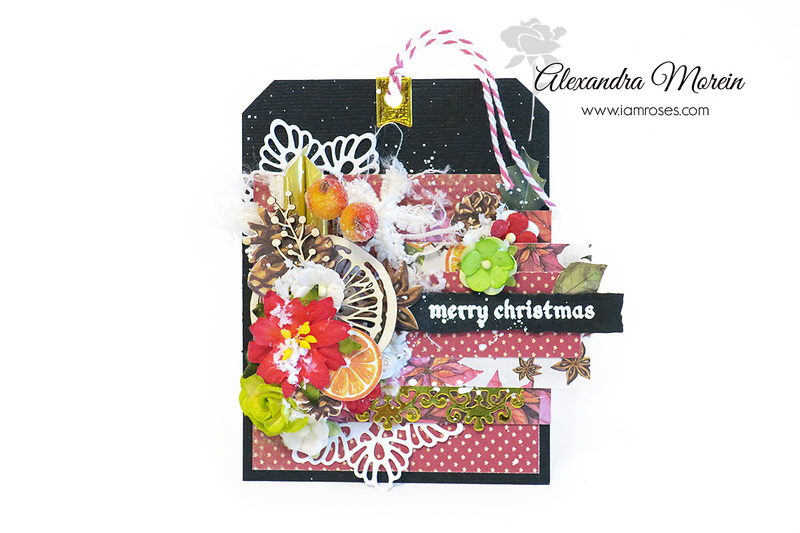 My decorative papers are from Echo Park Deck The Halls 6x6 Paper Pad. The sentiment is from an older Kraftin' Kimmie Stamp Set. I used C.C. 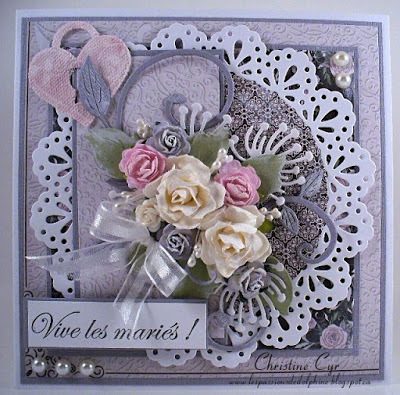 Designs Dies to cut the scalloped circle around my image and the shape around the sentiment. The glittery ribbon is from Walmart. 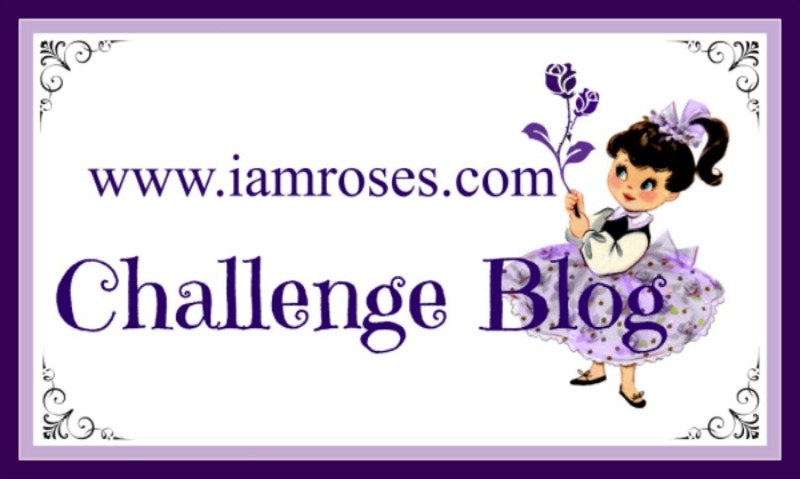 Now, don't forget to come play along with us right here on the IAR Challenge Blog using flowers from the IAR STORE (just click on the challenge link on the side bar to get to the current challenge). 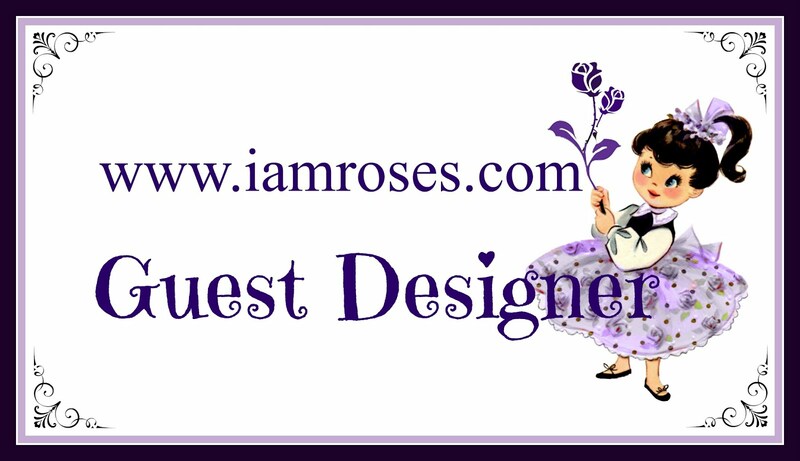 You have until NOVEMBER 8th to link up your project, but remember you must use at least 2 items from I Am Roses. 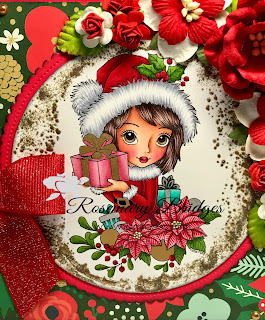 There are 4 prizes to be won so I hope you join us!! 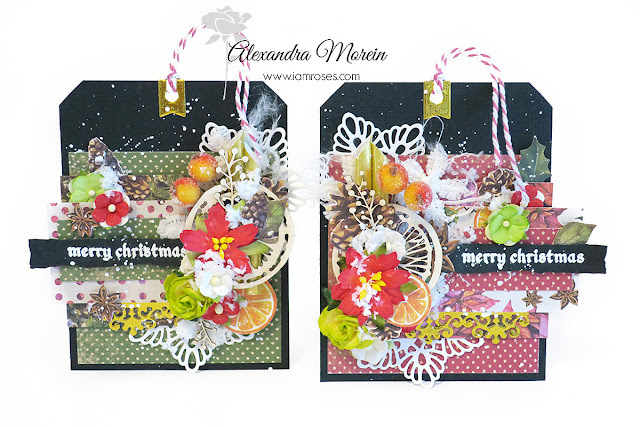 I am sure some of you, crafters, have already started to make Christmas cards and today I would like to share a couple of tags that I put together using beautiful I Am Roses Flowers. Please, be reminded about the October Challenge. You have time to enter till Nov 8th. Welcome to our October IAR Challenge! but I love the combo!! The image is from Saturated Canary. I also used aqua and purple to go with my patterned paper. So first, I'm going to share with you one of the biggest hacks in cardmaking regarding dimension; it's always about the eye and the angle! When you look at this card, you may think "wow, she put lots of foam tape on there". Well, no! 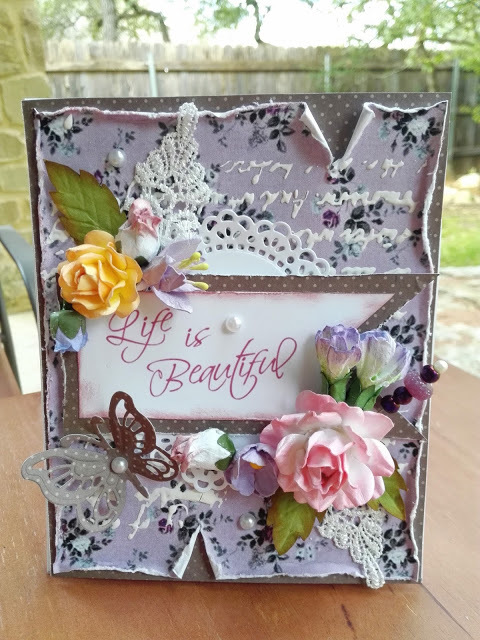 In fact, after colouring my All Dressed Up "Time to sparkle" image and die-cutting her with the smallest die from the Regal Frame Die Set, all I had to do was cut a few squares of pattern papers and place them on my cardbase. But back to my first tip, shall we? 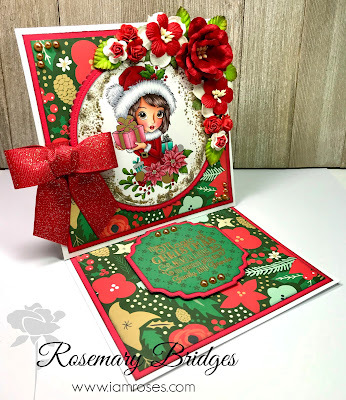 As you can see, the Majestic Frame was die-cut in white cardstock to pop onto the Eleganza - 6x6 Paper Pack and I only tapped down the middle section of it, so that the flourishes could stir up and give the illusion of dimension. Another tip that I can share with you when creating something as "heavy-looking" as this is to try to leave some white space, but not too much. 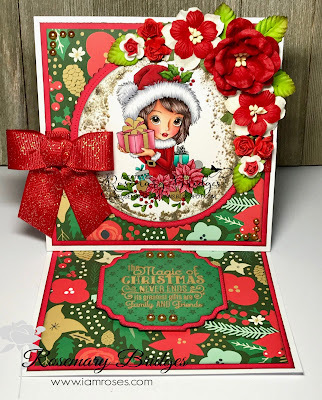 To create the perfect balance, I decided to stamp the sentiment from the Magnolia Splendor set right onto the Regal Frame die-cut that features the focal point, so that they're not completely apart. 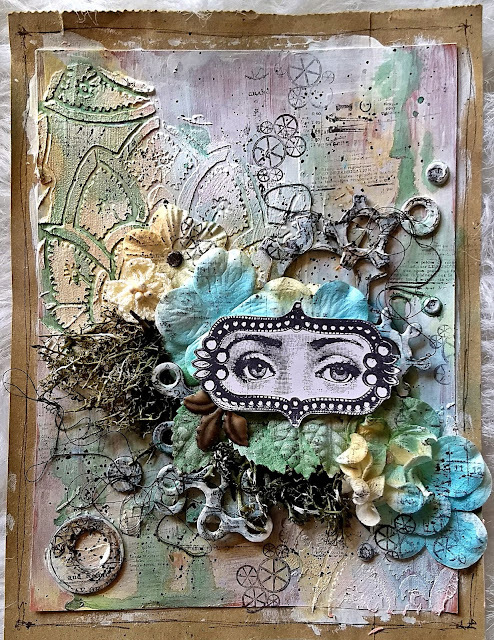 I added a few flowers from I Am Roses that were a perfect match to my paperpad on the right side of the same sentiment, and that was it! 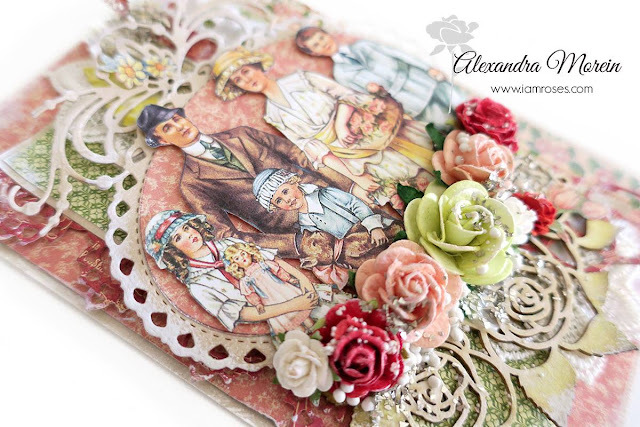 Today I'm sharing with you a card made for I am roses design team. Since Christmas is just arround the corner, I made a Christmas card with Magnolia's Holly Wreath Tilda from Aspen Holidays collection. 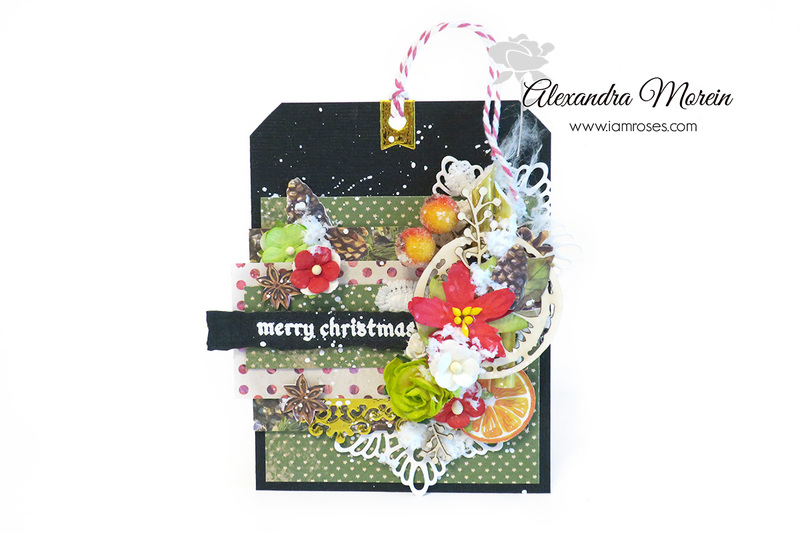 For this card I used some old Christmas design papers from Maja Design. Dies used are from Magnolia.